Licensed and bonded for complex janitorial services for businesses. We're equipped for all clean-up needs; From light janitorial services to floor cleaning and refinishing, to site clean-up of construction projects. 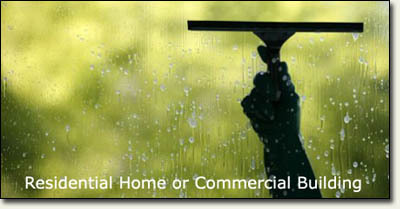 Merit Services does window cleaning for both commercial businesses and home residential clients. We'll clean both sides of windows, plus commercial frame-work. Merit Services - we're the most trusted name in the residential and commercial office cleaning! We've cleaned numerous high-end homes and businesses throughout West Michigan. Our Grand Rapids, Michigan Cleaning Service is available for office cleaning and commercial building janitorial services throughout West Michigan. Merit's commercial cleaning and window cleaning services are fast and affordable so you can spend more taking care of business. We service the following West Michigan cities in Kent, Muskegon, and Ottawa Counties: Ada, Allendale, Byron Center, Caledonia, Coopersville, East Grand Rapids, Fruitport, Grand Haven, Grand Rapids, Grandville, Holland, Hudsonville, Jenison, Kentwood, Muskegon, Rockford, Sparta, Spring Lake, Walker, Wyoming, Zeeland, and all MI cities in between the above list. Let us take care of all your cleaning needs with our personalized, proficient janitorial service that will have your office looking brand new. We can supply office cleaning and commercial cleaning so your business provides the professional atmosphere you and your customers deserve. 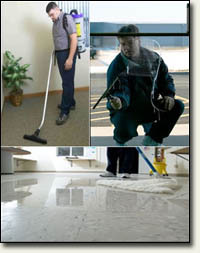 Or we offer commercial cleaning that will give your office an environment to be proud to work in. Your clients will truly be impressed with the cleanliness of the office & building if you allow our team of specialists to work their meticulous magic. Whether you require a light touch-up or a complete overhaul, our Grand Rapids cleaning service will be the professional experts you expect. If you are in need of a part-time janitor or janitorial service, call Merit Services for a free quote today! We are a locally owned full-service janitorial / cleaning service based in Grand Rapids, Michigan. We service high-end homes and businesses throughout West Michigan in these Michigan cities: Ada, Allendale, Byron Center, Caledonia, Coopersville, East Grand Rapids, Fruitport, Grand Haven, Grand Rapids, Grandville, Holland, Hudsonville, Jenison, Kentwood, Muskegon, Rockford, Sparta, Spring Lake, Walker, Wyoming, Zeeland, and all MI cities in between the above list.